If you find yourself in need of a fast, short term loan on fine jewelry with the most competitive interest rates in our industry, then you’ve come to the right place. Premier Jewelry Lenders also buys fine jewelry and watches. 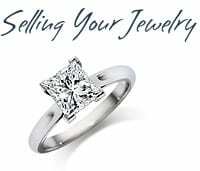 If you are looking to simply sell your fine jewelry or watch our company can help you. Are you looking for a great deal on fine jewelry or a high-end watch? Premier Jewelry Lenders may be able to help you. Simply email your request and we'll contact you!